Data journalism is a broader church than computer assisted reporting – it takes in processes and techniques from visualisation and automation to interactivity and spreadsheet work. And just as journalism as a whole can be investigative or observational, simple or complex, data journalism can also be used in a variety of ways. When integrated into newsroom processes, data journalism techniques can save time, they can save resources – indeed, they can bring extra resources into the newsroom. The previous week I had been working with a team from the Press Association, who were pleased to discover much quicker and more accurate ways of dealing with official statistics and FOI responses. UPDATE: Here data journalist Esa Makinen from Finland’s Helsingin Sanomat talks about how they use templates to produce quick visualisations. visualisations are “content that cannot be copied”, he points out. Mapping Olympic torchbearers from a newspaper’s patch may have taken up significant time of both reporters and designers a decade ago – now I can do that alone, with free tools, in less than an hour. And how about reporting elections? One of my students writes here how he used data journalism skills – and preparation – to turn around results more quickly than would otherwise have been possible. Data journalism doesn’t have to be spectacular to be useful. But it’s not just about saving time – it’s also about drawing on the energy and expertise of your users. Look at how The Guardian benefits from the design and development work of the thousands of developers and designers who use their API or contribute to their Flickr group. Likewise, at the BBC’s Data Journalism Day yesterday – where the ‘limited resources’ argument was raised again – the New York Times’ Aron Pilhofer said that his team’s interactive features attract huge sponsorship deals – advertisers like “new, shiny, unique” things they can attach their name to. And their interactives produce great engagement figures – which advertisers also like. But while interactives are useful commercially we still run the danger of seeing data journalism techniques as something separate to everyday journalism. As Charles Arthur said on this blog previously: if you find yourself doing something over and over, get a computer to do it. That’s what Adrian Holovaty did with crime reports and other civic information on ChicagoCrime.org and Everyblock. It’s what Chris Taggart has done with council spending on OpenlyLocal. They save time for the work that only humans can do: double-checking, fleshing out, and communicating. So don’t tell me that data journalism is “very time consuming”. In-depth journalism is often very time consuming. Data journalism is just a technique – and if your heart’s in the right place – it can be used to make time for the deeper stuff. Exactly. Some of the stuff we do that does the best is actually pretty simple and straightforward, uses free tools and works just as well for it. Our Datastore team actually only comprises of a couple of people who are very much part of the newsroom. I’m not sure I agree with the rigidity of this. In theory I do, I want to. But as a matter of fact almost every data journalism project that generated massive impact came with a thoughtful visualization that rendered the data for mass consumption. This is the time consuming part – building a compelling, interactive infographic on top of data and doing it methodically right (tricky sometimes). Data journalism doesn’t end before that step, so yes, data journalism can be very time consuming. So is video, so is reporting from the field. It’s not necessarily a bad thing. Putting ressources in those projects is what helps to grow journalistic brands sustainably. I do however agree that there is a lot of space for low-effort data projects. The litmus test is and should always be: Do people (not data journalists) understand the story within those data in the blink of an eye. Thanks for the comment – if anything I’m suggesting less rigidity. You say that every data journalism project that generated massive impact came with a visualisation – but might there be other projects which used simple data journalism that are not seen as ‘data journalism projects’ largely because the data aspect is not front and centre in its presentation? I know of plenty of stories that have used basic, quick data journalism skills but the reader/user would never know. 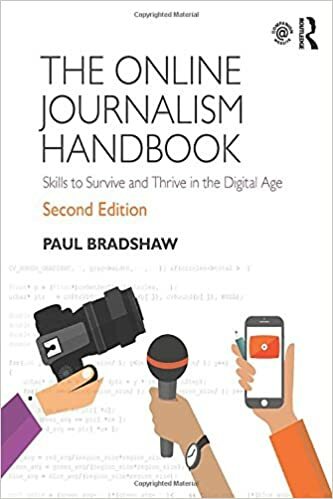 What I’m saying is that as long as we see data journalism as something ‘other’ than everyday journalism, the skills will be underused and opportunities will be missed. I’m not saying that all data journalism should be quick or simple; I’m saying that data journalism is as varied as journalism itself. It can be a small part of a larger journalism project, or the whole of it. But given how much information we deal with is digitised, data journalism skills will be useful to most journalists at some point. One of the points made in the BBC Data Day discussion was around how data journalists were perceived by others; but Aron also made the point that sometimes data journalists see themselves as better than others too. I worry that we’re falling foul of that in this sort of discussion – that somehow data journalism is ‘better’ than other journalism. Instead it should be about the right tools for the job. Great post. And timely as iCharts is gearing up for coverage of Olympics and Elections 2012, via charts. 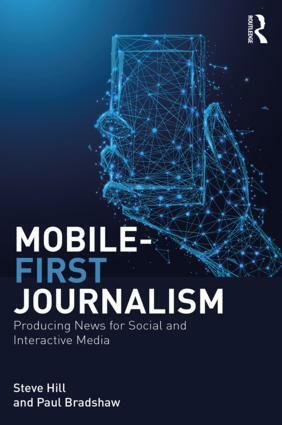 New formats, new tools have made journalism much more accessible to everyday journalists, bloggers and marketers. It’s our goal to continue to simplify that sans a massive team of reporters, designers and visualization experts. Let’s let stories be told – simplistically and creatively.